Los datos provienen de Wikileaks y fueron publicados el lunes por el diario costarricense La Nación. La noticia, sin embargo no es nueva. Estaba en boca del pueblo nicaragüense desde que ocurrió. Le decían “la piñata”. Lo nuevo es que ahora está en papeles de la diplomacia estadunidense. Son estos los que dan los detalles. 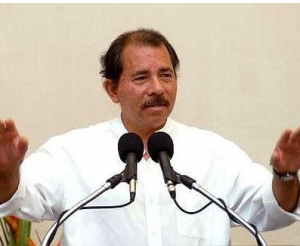 Según los mismos, el presidente de Nicaragua, Daniel Ortega, se apropió de millones de dólares en terrenos y empresas, tras la derrota electoral del Frente Sandinista de Liberación Nacional (FSLN) en 1990 y antes de entregar el poder a Violeta Barrios (1990-1997), según cables secretos de la diplomacia estadounidense. Los bienes confiscados habrían ido al entorno familiar inmediato del actual mandatario nicaragüense, entre ellos su hermano Humberto, ex jefe del ejército de Nicaragua, y altos dirigentes sandinistas, según informa una nota de AFP. “Otras compañías involucradas en transporte, madera, fábricas de azúcar y mataderos nominalmente fueron al FSLN pero, efectivamente terminaron en manos de Ortega, su familia, y sus más cercanos colaboradores”, escribió en 2006 el embajador estadounidense en Managua, Paul Trivelli, según un cable de Wikileaks divulgado este lunes en el diario costarricense La Nación. Según la nota de Trivelli a Washington filtrada por Wikileaks, Ortega “supervisó” la confiscación de propiedades públicas y privadas, en lo que en Nicaragua se denominó “la piñata” sandinista y que derivó en miles de juicios contra el Estado por parte de sus propietarios, muchos estadounidenses. De acuerdo a AFP, entre los bienes que se confiscaron y citados en el cable está la millonaria residencia del político Jaime Morales Carazo, en Managua, quien en la época era adversario de Ortega y actualmente es su vicepresidente. “Ortega aún vive en la casa de Morales y ocupa la cuadra entera, hasta la fecha. Están ampliamente disponibles los testimonios de aquellas personas cuya propiedad fue confiscada y cientos están registrados con la embajada”, precisa el comunicado diplomático. El Frente Sandinista para la Liberación Nacional (FSLN) , con Ortega como candidato, perdió las elecciones generales en 1990 ante una coalición que postuló a Violeta Barrios de Chamorro, quien gobernó hasta enero de 1997, cuando entregó la presidencia a Arnoldo Alemán. AFP agrega que Ortega volvió al poder tras ganar las elecciones en 2006 y aspira a reelegirse en los comicios de noviembre próximo. via Wikileaks da nuevos datos de “la piñata” Sandinista de 1990 | The Americano. An Army private suspected of leaking hundreds of thousands of sensitive and classified documents to the WikiLeaks anti-secrecy group was charged with aiding the enemy, a crime that can bring the death penalty or life in prison. The Army filed 22 new charges Wednesday against Pvt. 1st Class Bradley E. Manning, including causing intelligence information to be published on the Internet. The charges don’t specify which documents, but the charges involve the suspected distribution by the military analyst of more than 250,000 confidential State Department cables as well as a raft of Iraq and Afghanistan war logs. Thousands of the documents have been published on the WikiLeaks website. Although aiding the enemy is a capital offense under the Uniform Code of Military Justice, Army prosecutors have notified the Manning defense team that it will not recommend the death penalty to the two-star general who is in charge of proceeding with legal action. The Army has not ruled out charging others in the case, pending the results of an ongoing review. Army leaders have suggested that there may have been supervisory lapses that allowed the breach to occur. The release of the State Department cables was denounced by U.S. officials, saying it put countless lives as risk, revealing the identities of people working secretly with the U.S. It also sent shudders through the diplomatic community, as the cables revealed often embarrassing descriptions and assessments of foreign leaders, potentially jeopardizing U.S. relations with its allies. While thousands of the cables have been released, the bulk of those downloaded have not been made public. Manning was charged in July with mishandling and leaking classified data and putting national security at risk in connection with the release of a military video of an attack on unarmed men in Iraq. The charges follow seven months of Army investigation. “The new charges more accurately reflect the broad scope of the crimes that Pvt. 1st Class Manning is accused of committing,” said Capt. John Haberland, a legal spokesman for the Military District of Washington. In a written statement detailing the new charges, the Army said that if Manning were convicted of all charges he would face life in prison, plus reduction in rank to the lowest enlisted pay grade, a dishonorable discharge and loss of all pay and allowances. Manning’s civilian attorney, David Coombs, said any charges that Manning may face at trial will be determined by an Article 32 investigation, the military equivalent of a preliminary hearing or grand jury proceeding, possibly beginning in late May or early June. “It’s beyond ironic that leaked U.S. State Department cables have contributed to revolution and revolt in dictatorships across the Middle East and North Africa, yet an American may be executed, or at best face life in prison, for being the primary whistleblower,” said Jeff Paterson of Courage to Resist, an Oakland, Calif.-based group that is raising funds for Manning’s defense. Trial proceedings against Manning have been on hold since July, pending the results of a medical inquiry into Manning’s mental capacity and responsibility. The 23-year-old Oklahoma native is being held in maximum custody and prevention-of-injury watch at the Marine Corps base in Virginia. © Copyright 2011 Associated Press. All rights reserved. This material may not be published, broadcast, rewritten or redistributed. via WikiLeaks Suspect Charged With Aiding Enemy. Many national security ‘WikiLeaks’ leaks are still coming out. The Telegraph, thus far, has published 550 of them in three days. One extraordinary leak is the secret war that had occurred three years ago between the United States and China. Each country had shot down one of its own satellites to stave off a real war. Sarcastically, that’s just great! Read More: WikiLeaks: US and China in military standoff over space missiles – Telegraph. The WikiLeaks’ espionage and treason by an American active duty military person are the most serious charges, especially during war. Otherwise, why have a military? During war the penalty is execution by firing squad. The penalty elicits the danger to the country and certain protected people, institutions, and national interests. PFC Brian Manning is now detained in a maximum security cell where he can’t practically move awaiting trial. His head is completely shaved. His rank is completely removed. His daily regimen is ten times more strict than his boot camp experience. He can’t even speak or use the bathroom without permission. He can ask like this, “Sir! The prisoner requests to take a [Wiki] leak, Sir!” No pun intended. For more reading: WikiLeaks Will Get Americans Killed – HUMAN EVENTS. WikiLeaks has its own national security for its servers in a bunker, and Stockholm, Sweden, knows how to carve out nuclear bunkers in mountains. A good James Bond movie approaching? For some pictures: WikiLeaks: James Bond-style nuclear bunker hosts servers in Stockholm – Telegraph. Since WikiLeaks has released secret diplomatic cables, the U.S. Intelligence community is on heightened alert on strengthening security. Recently, the Naval Criminal Investigative Service (NCIS) arrested Petty Officer Bryan Minkyu Martin for allegedly selling secret documents to an undercover FBI agent in a North Carolina sting operation. Martin belonged to the Joint Special Operations Command (JSOC) and analyzed on Afghanistan operations. Read more: JSOC analyst arrested in FBI spy sting. | RedState.